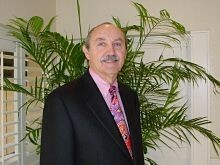 Sal has been in the financial services industry for over 25 years. His client list is too numerous to mention, he advises U.S. Congressmen, athletes, movie personnel, and most of all people like you and I. He is a graduate of Wayne State University with a Business Degree, and holds the prestigious LUTCF Insurance designation. He was admitted to "Who is Who", in Finance in 2006. Currently, he is an executive producer for a movie being written called "A German Life". As of June 1, 2011 his company Financial Resolutions merged with Royal Palm Financial so as to offer continuity to his clients. At 79, he felt it to be important that younger advisors be available to continue his work. He is recognized as a highly skilled professional in the area of Life Insurance and has hundreds of millions of dollars that he has written. He is consulted by CPA's and Attorneys as to what is the best way to fund policies for clients. On a personal note, Sal and his wife Nancy have 5 children between them and eight grandchildren, as well as a magnificent spoiled standard poodle. He is a nationally award winning photographer, and his hobbies include, photography, golf, and travel.